On March 15 this year, Mexico City encountered its worst environmental crisis of the last decade. A gray fog, comprising noxious air pollutants, cast a shadow over the sprawling metropolitan area for two days. Vehicles were ordered off the roads, and people were asked to remain indoors. The solution sought to redress the city’s pollution problem was presented two weeks later and has already attracted considerable attention from the international media. Martín Gutiérrez, head of Mexico City’s environmental agency Comisión Ambiental de la Megalópolis, announced that the city’s residents who own private cars are going back to a program first instituted in 1989 called Hoy No Circula (One Day without a Car). The restrictions on vehicle mobility mean that all privately owned vehicles will be off the roads once a week and on one Saturday a month, from April 5 to June 30. The government had previously abandoned the program due to its proven inefficiency, and, among the city’s residents, the readoption of Hoy No Circula has been viewed as an unpopular approach to manage Mexico City’s undeniable environmental issues. But the bigger problem with Mexico City’s pollution control efforts lies with governmental institutions and how private interests can successfully subvert the intention of environmental rules like Hoy No Circula. Situated in the middle of a valley, Mexico City occupies a particularly vulnerable geographical location. The fact that the most populous city in North America is surrounded by mountains does not work in its favor when it comes to pollution. Indeed, mountains function as retaining walls that aid in the accumulation of unhealthy levels of air pollutants. The fact that the city’s metropolitan area is inhabited by nearly 21 million people who use approximately 5.5 million cars daily only further exacerbates the environmental concerns created by its geography. When first put into place, Hoy No Circula mandated that each car be kept off the streets one day a week. The day of the week a specific car was to remain immobile was determined by the vehicle’s license plate number. 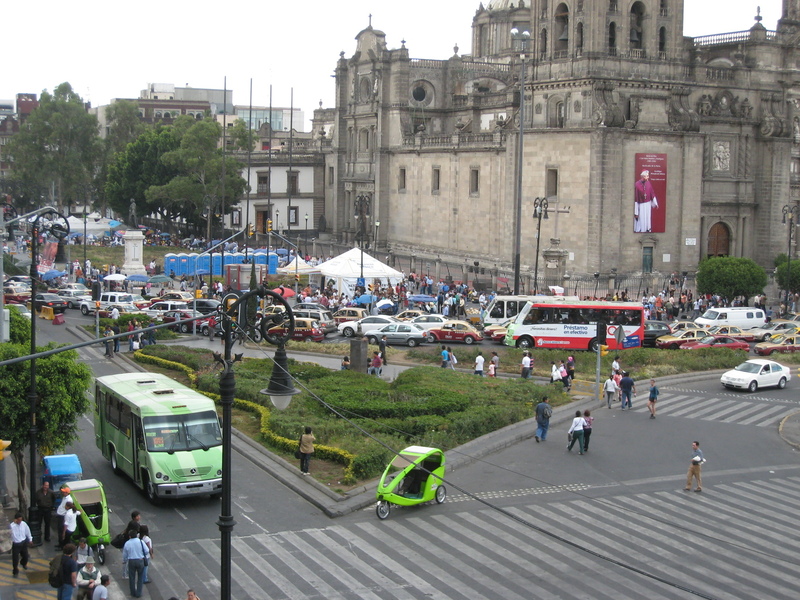 Public officials have encouraged citizens of Mexico City to take public transportation, but bus operators have resisted regulations on diesel buses. The program quickly produced a counterproductive outcome. Indeed, as a workaround to Hoy No Circula, residents began to purchase multiple older cars rather than one environmentally friendly vehicle, only worsening Mexico City’s air pollutant levels. In 1997, the program was modified in order to boost the Mexican automotive industry. From that year onwards, vehicles manufactured in the previous eight years would be exempt from the program so long as they could pass an emissions test twice a year. Almost two decades later now, in March 2016, Mexico City’s Dirección de Monitoreo Atmosférico reported that ozone pollution has reached alarming levels, which has renewed Mexican authorities’ desperate search for a solution to an impending and human-made environmental crisis. With the enactment of Hoy No Circula this spring, Mexican authorities have encouraged the use of public transportation as an alternative to personal vehicles. However, as anyone who has spent any meaningful time in Mexico City can attest, this is neither a viable nor a safe option for many residents. According to the World Economic Forum, for example, Mexico City rates second in Latin America for having the most dangerous transportation system for women. In order for citizens to consider using public transportation as an alternative to private cars, measures to ensure the safety of its passengers would first be required. Since the return to Hoy No Circula, statements have been released by researchers at the Universidad Nacional Autónoma de México and Greenpeace, asserting that the instituted restrictions on vehicle mobility do not present a sustainable response to curtail the city’s environmental issues. Much like what happened when the government first introduced the program in 1989, people have an incentive, once again, to own more than one car and to buy older, high-polluting models in order circumvent the restrictions. Meanwhile, people who have made financial sacrifices to buy more environmentally friendly cars to decrease their carbon footprint have the same restrictions put on them as owners of more highly polluting cars. 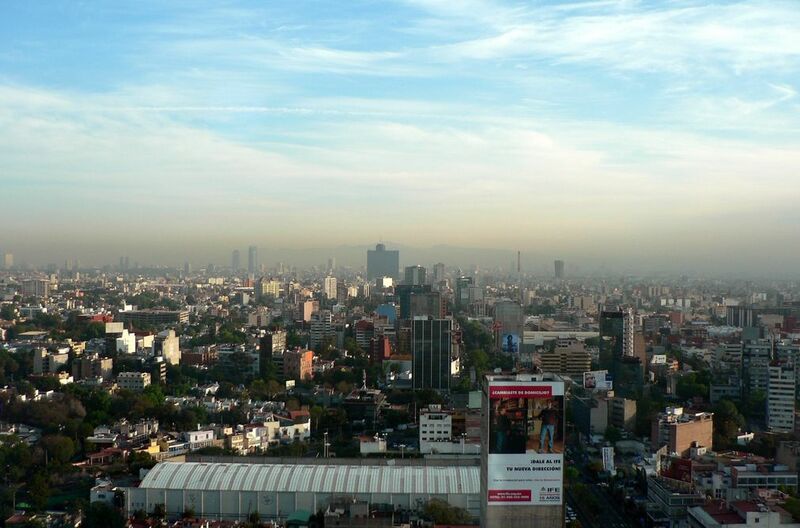 So far, there has been much discussion on what can be done to thwart air pollution in Mexico City. However, any proposed solution will fall short unless the more systemic issue of institutional corruption is not directly addressed. Bribery at regulatory enforcement centers: One of the key causes for the city’s ascendance on pollution indexes is the high pollutant emissions from older vehicles. It is a well-known common practice for owners of older and environmentally inefficient cars to bribe verification centers’ managers in order to receive a pass on the necessary emissions test. Privately owned public transport buses: Private owners of Mexico City’s old, high emission public transportation buses have turned into powerful actors who hold political clout. Consequently, public buses are largely unregulated and do not face any kind of emissions restrictions. These proprietors have long engaged in illegal agreements with authorities in order to act freely. Notably, the bill Norm 044 (NOM-044) that was originally drafted in 2009 and would have regulated emissions of heavy diesel vehicles has been delayed without any logical explanation. Without the enactment and the enforcement of regulatory measures, bus operators will continue to pollute Mexico City’s environment with impunity. New traffic laws: Released in December 2015, the new measures entail a considerable decrease in speed limits on Mexico City’s highways as a way to reduce air pollutants. UNAM researchers have stated that the new traffic rules lead to higher fuel consumption as well as longer commuting times. Taken together, these outcomes of the new traffic laws serve only to increase emission volumes. Autotraffic, a private Mexican company, was hired to install the new speed traps, which aim to generate 150,000 monthly tickets. Through an arrangement with the government, Autotraffic will receive 46 percent from the total amount of revenues collected from the tickets. This is illustrative of the problematic ways in which the proposed solution to the environmental crisis is being shouldered by ordinary citizens, while the government continues to advance the interests of private businesses. Resource embezzlement: Efforts to provide new public transportation options have been negatively impacted by corrupt practices. The most recent example of this is Mexico City’s subway line inaugurated in 2012, which would transport over 400,000 passengers on a daily basis. Less than two years after its launch, it was closed down when structural irregularities that endangered users were identified. The total cost of building the subway line was US$1.5 billion, 70 percent over the original budget. Enrique Horcasitas, the former director of the project, is currently a fugitive. He has been accused of authorizing payments to a private company for construction work that never took place. Mexico City residents and relevant government authorities face a looming question in light of recent events: are initiatives to have fewer cars on the roads sufficient to combat air pollution? It certainly appears that they are not. For real change to happen, the enactment of public policy must come hand in hand with measures to eliminate institutional corruption.